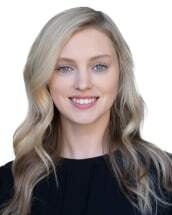 Attorney Jennifer Ann Sinclair joined Raleigh Divorce Law Firm in September 2018. Jennifer attended Campbell Law School in Raleigh, North Carolina. After taking several advanced family law courses and having internships at local family law firms, she determined that she wanted to pursue a career in family law. Throughout her time at Campbell, she was a member of the Blanchard Community Law Clinic, where she had the opportunity to partner with non-profit agencies in the Raleigh community to provide legal services to their clients. Jennifer was also a member of Campbell's Restorative Justice Clinic. Jennifer grew up in Garner, North Carolina. She attended East Carolina University and graduated with a B.S. in Public Health Studies and a minor in psychology.